Staying true to the DPA legacy, the d:fine Slim Omnidirectional Headset Microphone offers accurate, natural voice intelligibility along with its very high SPL capabilities. You can both speak and sing into the mic with no hint of distortion. The d:fine Slim Omnidirectional Headset Microphone is head and shoulders above the competition. 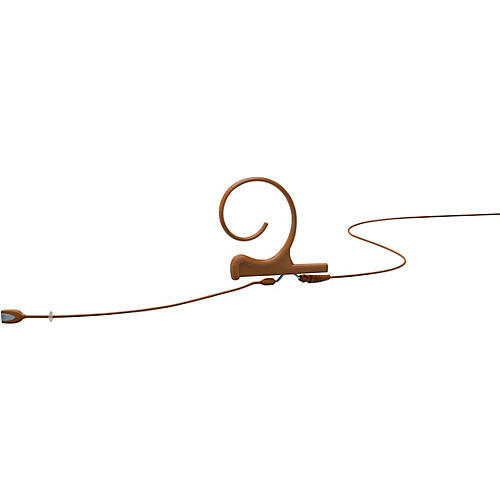 With low noise and high sensitivity, the d:fine Slim Omnidirectional Headset Microphone delivers the clearest, most transparent sound available on the headset market. This condenser mic handles up to 144 dB peak before clipping. Due to the mic’s exquisite linear response, low distortion and broad dynamic range, it sounds great no matter what the application. As with other omnidirectional mics, the d:fine Slim Omnidirectional Headset Microphone is generally not sensitive to wind, breathing or handling noise. Nevertheless, intensive protection against pop and wind noise is integrated in the microphone design. Windscreens, a capsule protection cap, a cable clip (to anchor the cable to your clothing) and a color-coded cable clip (offering easy recognition of a specific headset among many) are included.